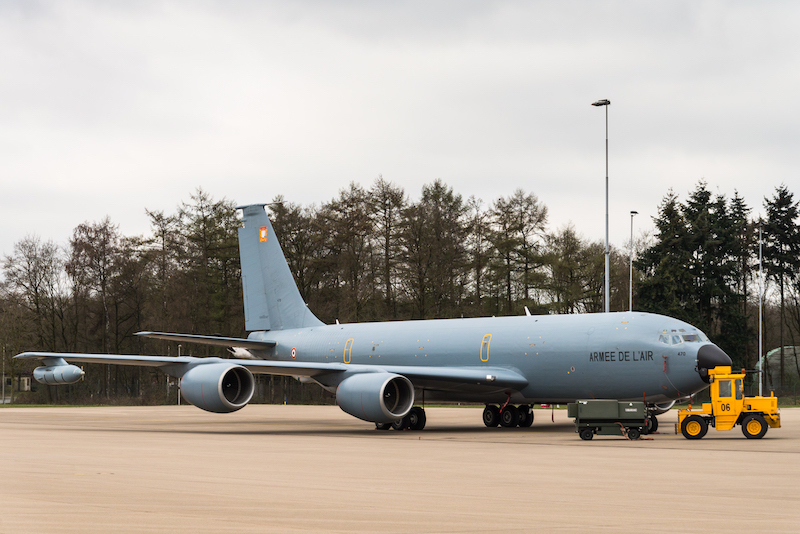 The fourth European Air Refuelling Training (EART) was conducted at the Eindhoven Air Base (EHEH) from 26 March to 07 April, 2017. 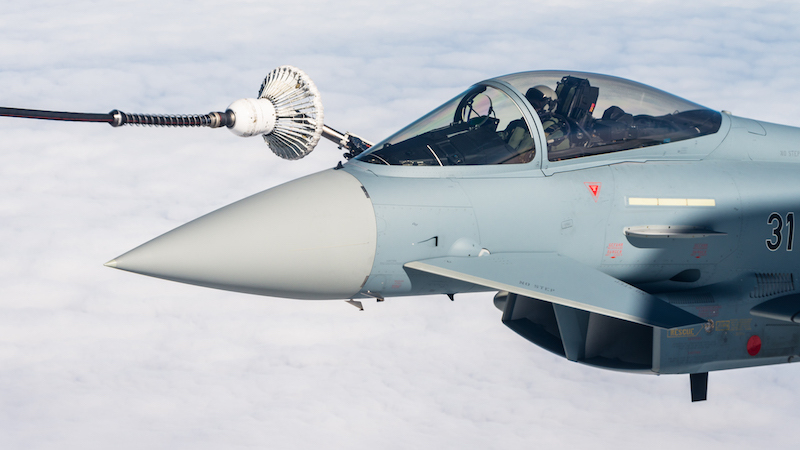 This multinational air refuelling training is organized by the European Air Transport Command (EATC) and hosted by The Netherlands. The European Air Transport Command (EATC) is a multinational command established in 2010 and integrates a staff of more than 200 people coming from seven member nations. Each member nation has access not only to it's nationally assigned military assets but also to the complete EATC multinational fleet. 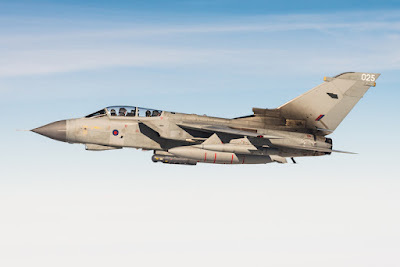 Today this fleet consists of different types of military aircraft such as aerial refuelling tanker and transport aircraft. 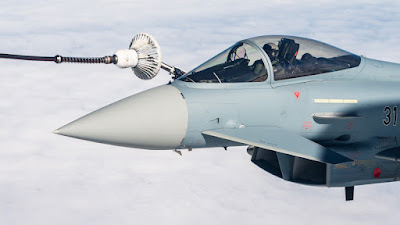 Upon the European Defense Agency's (EDA) initiative, the EATC runs the European Air Refuelling Training (EART) exercise. The objective of this exercise is to specifically train tankers crews and receivers to participate into multinational and complex air operations. EART is also organized in combination with the Dutch Frisian Flag fighter exercise which is held at the same time at the Leeuwarden Air Base. On March 29th, 2017, journalists and photographers got the chance to visit the Eindhoven Air Base during the EART 2017 media day. I was also invited by the Royal Netherlands Air Force (RNAF) to attend this well organized media event. In the morning we had a briefing at the new EATC headquarter about the EATC and EART 2017 exercises. After the briefing the press visited three tanker aircraft who were stationed at the Eindhoven Air Base. 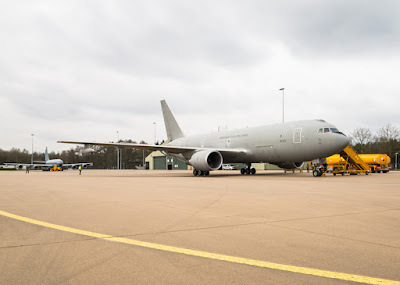 These aircraft were an Airbus A310 MRTT of the German Air Base, a Boeing KC-767A of the Italian Air Force and a Boeing C-135FR Stratotanker of the French Air Force. 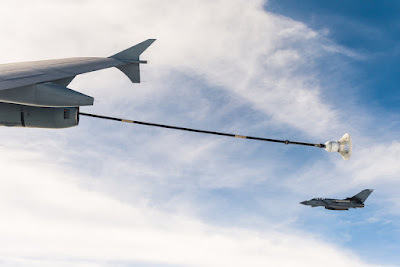 ​In the afternoon I also got the chance to participate in an air-refueling mission on-board a the German Airbus A310 MRTT aerial refueling tanker aircraft. 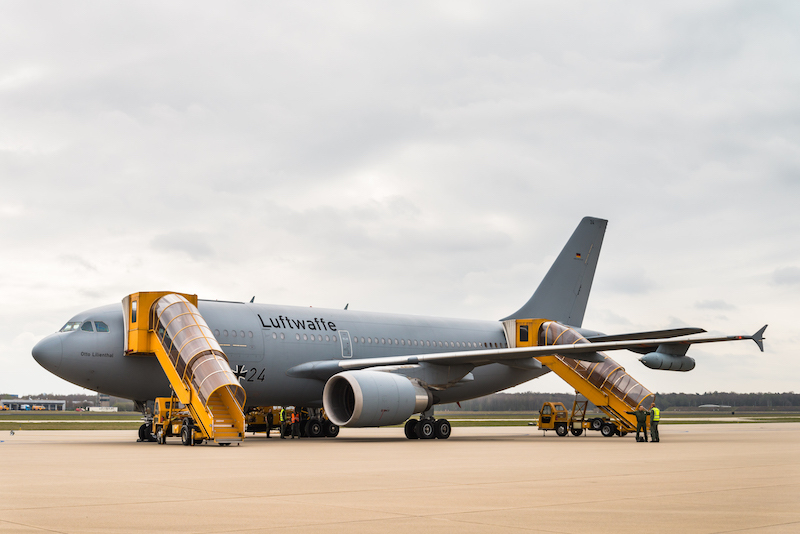 The Airbus A310 Multi-Role Tanker Transport (MRTT) aircraft is provided with two AAR pods, one under each wing. The system comprises a refueling hose container under the wing that deploys a refueling hose with a maximum length of 23 m during flight. Today, for of these Airbus A310 MRTT aircraft are operated by the German Air Force for air-to-air refuelling, medical evacuation, military cargo transport and passenger transport operations. 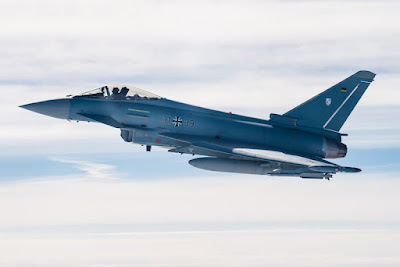 During this mission we flew over the Frisian Islands where several Eurofighters from the German Air Force and Panavia Tornado's from the Royal Air Force joined us for their refueling training. 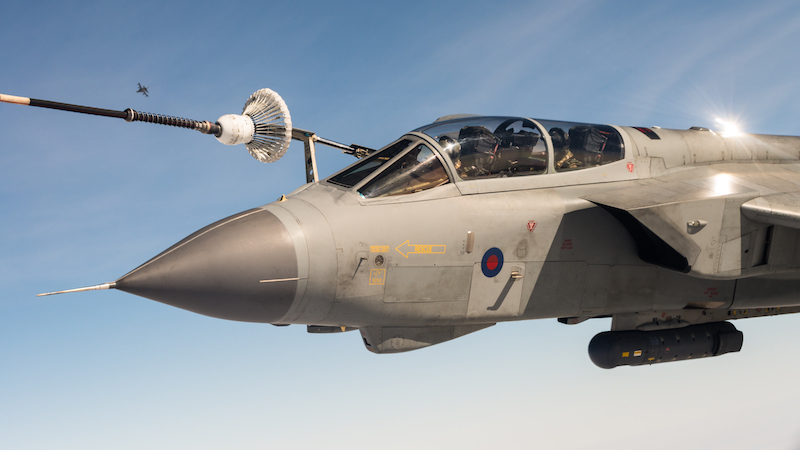 During this refuelling, the fighter jets were provided with 2,4 Tons of fuel per minute. After an unforgettable flight onboard the Airbus A310 MRTT we landed again at the Eindhoven Air Base. I would like to thank the European Air Transport Command (EATC) and the Royal Netherlands Air Force (RNAF) for this amazing experience!